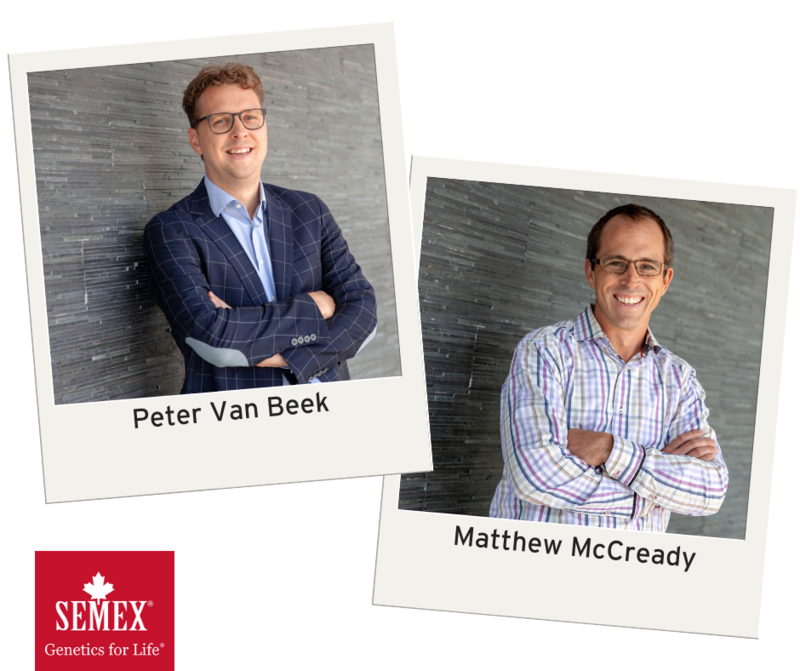 First offered in December 2012, Semex's exclusive Immunity+ lineup continues to expand in April 2018, offering dairymen worldwide the sires they need to breed healthier and more profitable herds. 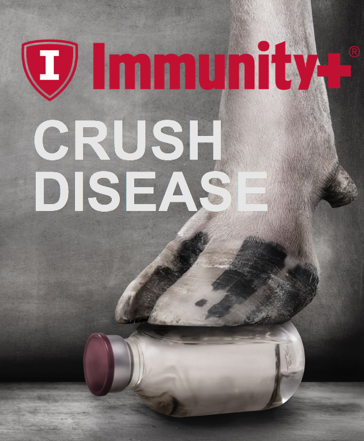 Proven on farm, recent research concludes that Immunity+ is the key to the future of herd health. In North America, over 30 herds comprising ~35,000 cows and ~75,000 heifers were analyzed for disease reductions (Larmer et al., 2017). 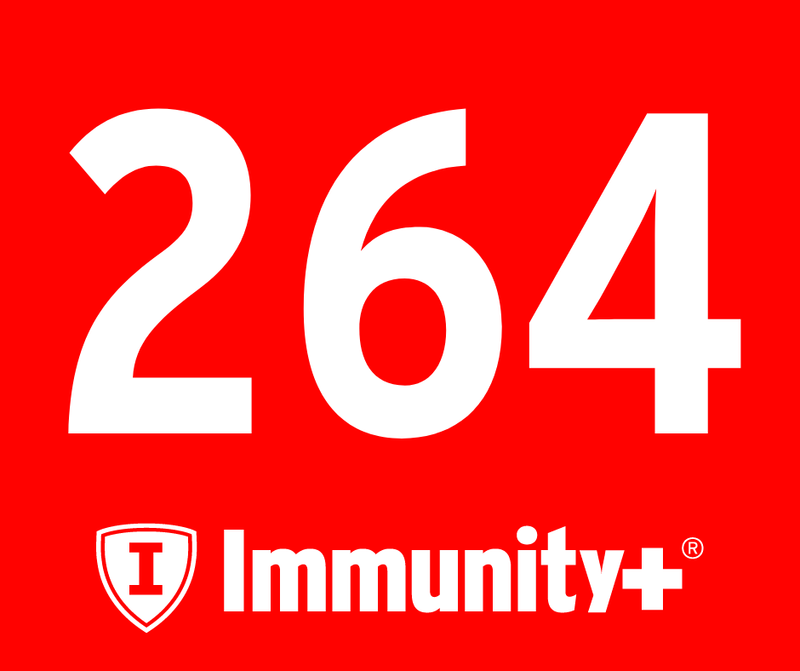 It was found that Immunity+ sired animals had anywhere from 2-20% less disease (depending on which disease was analyzed). 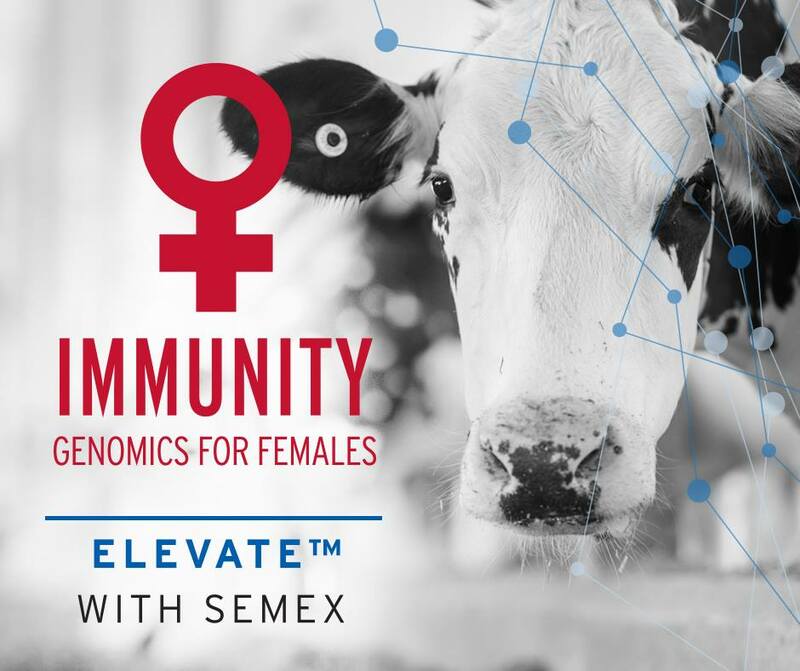 The most significant reductions in this dataset were found in the traits with the biggest economic impacts, including a 20% reduction in cow mortality among the Immunity+ sired animals. Reductions in disease incidence have also been shown in herds across Europe, South America and Asia. 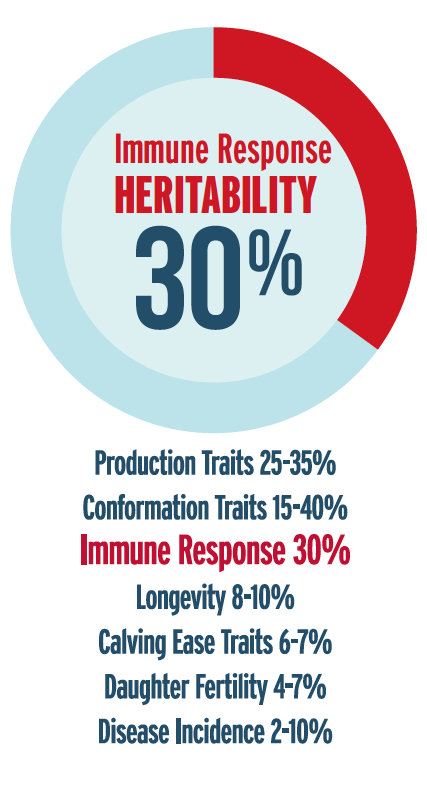 One of the keys to Immunity+'s effectiveness is its high heritability. 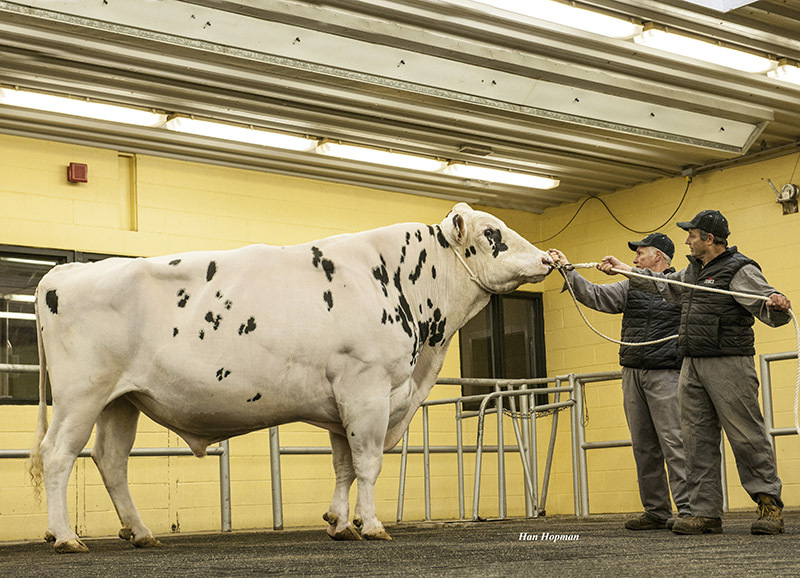 By testing the direct immune response capabilities of sires, much of the environmental variation is removed, leaving only the genetic component of disease resistance. 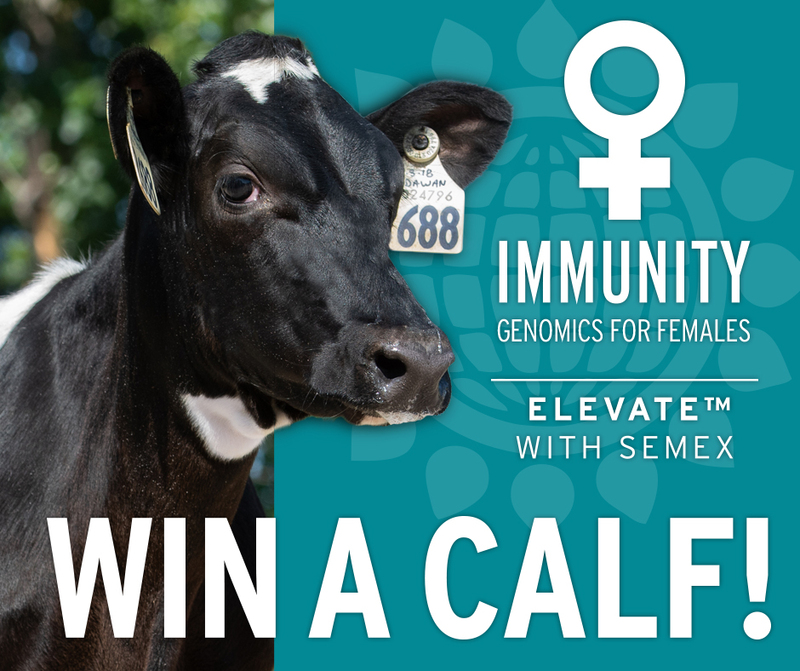 At 30%, the heritability of Immunity+ is similar to that of milk production, a trait that has seen enormous genetic progress leading to a 13% increase in per cow milk production in the last 10 years. 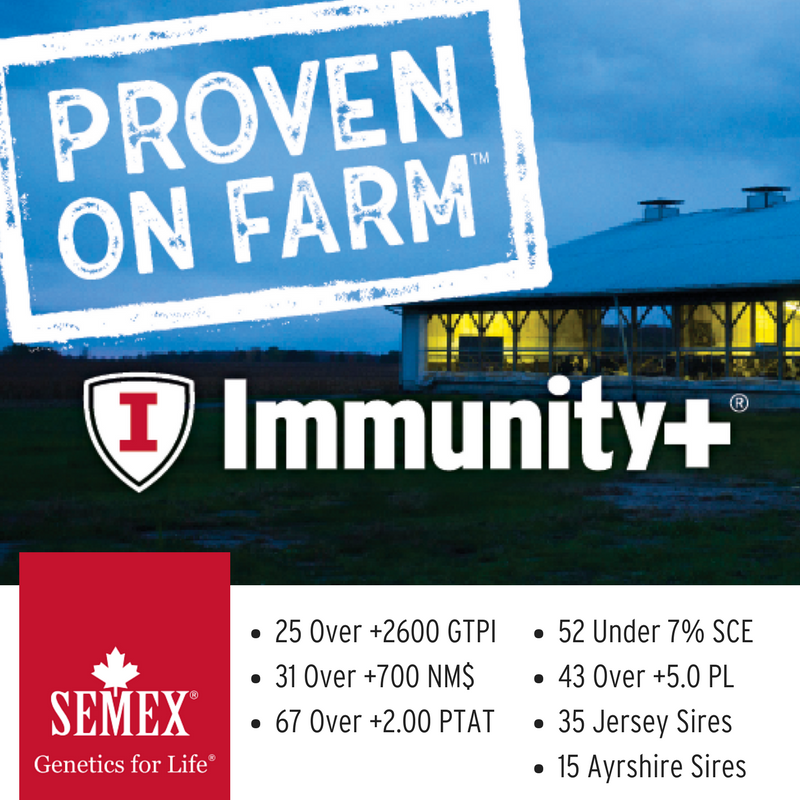 In April, Semex's Immunity+ lineup is stronger than ever! 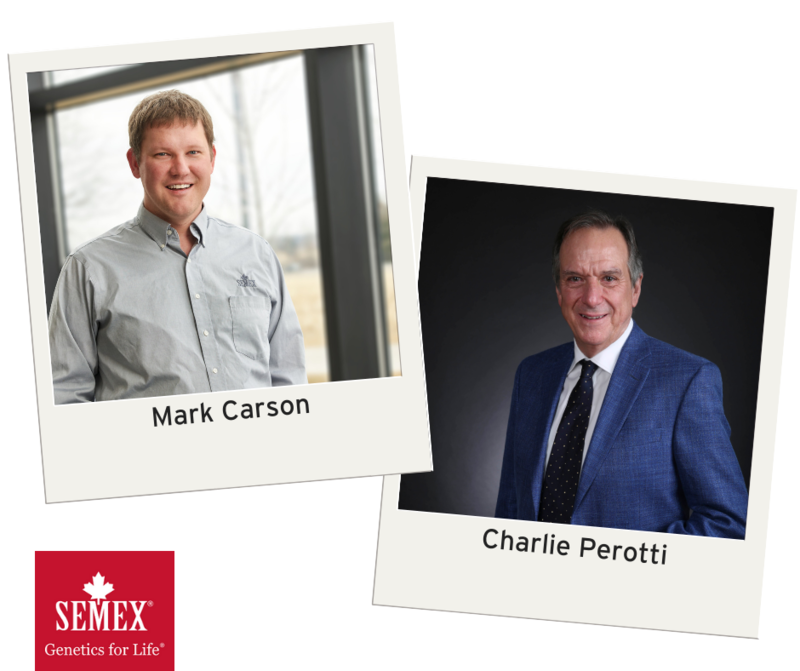 Visit www.semex.com for the full lineup.